'Any man can be a father, but it takes a special person to be a dad. 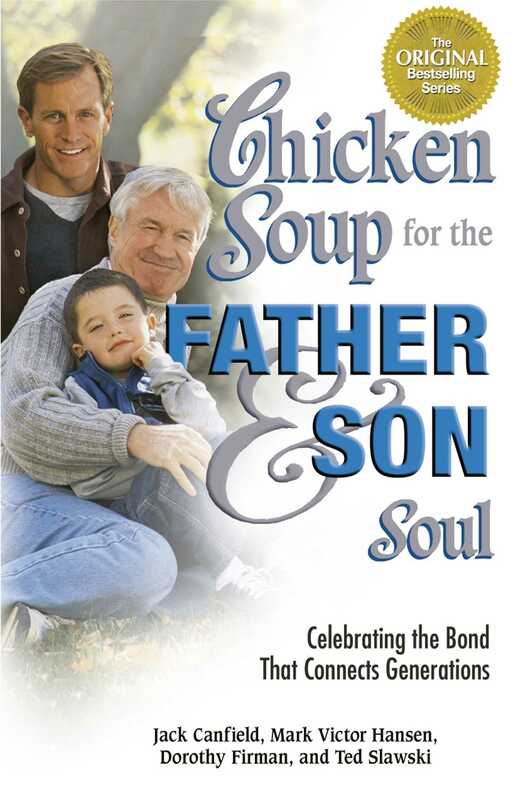 Chicken Soup for the Father and Son Soul takes a peak into the lives of fathers and sons, sharing the important male milestones from birth through childhood, adolescence, young adulthood, the senior years, and every step in between. This is a celebration of how fathers and sons carry each other along life's journey. Share the story of one man who didn't think much of becoming a father until the day he laid eyes on his son, and how in a matter of moments his perspective on life and being a dad had profoundly changed forever, and the touching story of a young boy who finds the father he always longed for in a special stepdad, as well as the story of the love and respect between a father-in-law and son-in-law that appears when least expected. Readers will be inspired by the stories of sons looking up to their fathers and learning by example, and fathers recollecting their own childhoods and relationships with their own dads. These insightful stories show men and boys working through the ups and downs of life, learning as they go and becoming better because of their relationship with each other. These powerful and poignant stories are written from every point of view—fathers, sons, grandfathers, mothers, and wives—everyone who has been deeply touched by the father and son relationship.